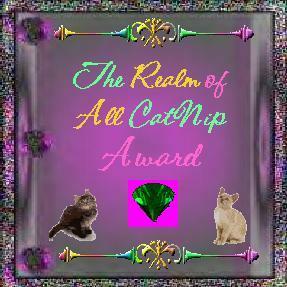 CATS KITTYS GATOS, the great site we admire so much, honoured us with this Award for,as they said,"the highest of integrity and style and basically the best of the best in the Kitty Kingdom". We got this Mylo Award Gold from Italian Team Web Masters Free Lancers. Thanks, guys! 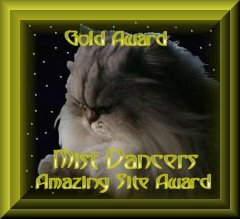 Cindy and Midnight included us to their Award programm giving a very pleasant comments to our site. Carolyn Kreiner, the Proud Mom of Ten Furkids honoured us with her very special award, accompanied with very kind words:"Your site is very special and I enjoyed my visit. Thank you for sharing it with me".